Fruit loves getting dressed up. Especially when the event calls for black tie attire. 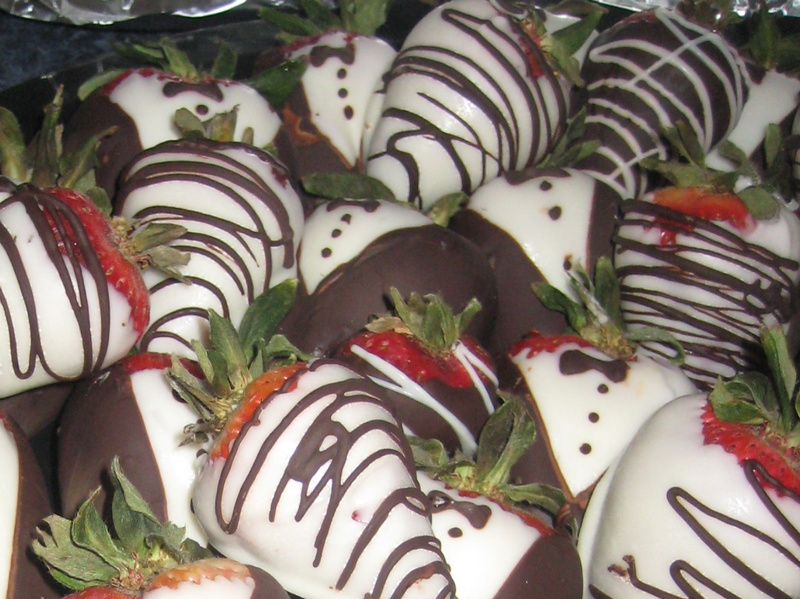 So for the big engagement party, it seemed only appropriate to make some chocolate tuxedo strawberries! I didn’t take any pictures while I was making these, so here’s a basic tutorial, starting after you’ve washed and dried your berries and melted your chocolates! 1. Dip the front side of the berries in white chocolate or bark. Let dry on wax paper. 2. 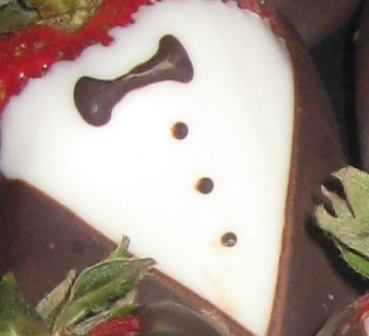 Hold the strawberry by the green leafy part, and dip the sides in a ‘V’ pattern in milk chocolate to make the tuxedo jacket. Leave some white showing on the front for the tuxedo shirt. Put them back on the wax paper. 3. Using a toothpick, make a small bow with the dark chocolate. Add a row of 3 buttons underneath. 4. Let dry and serve! 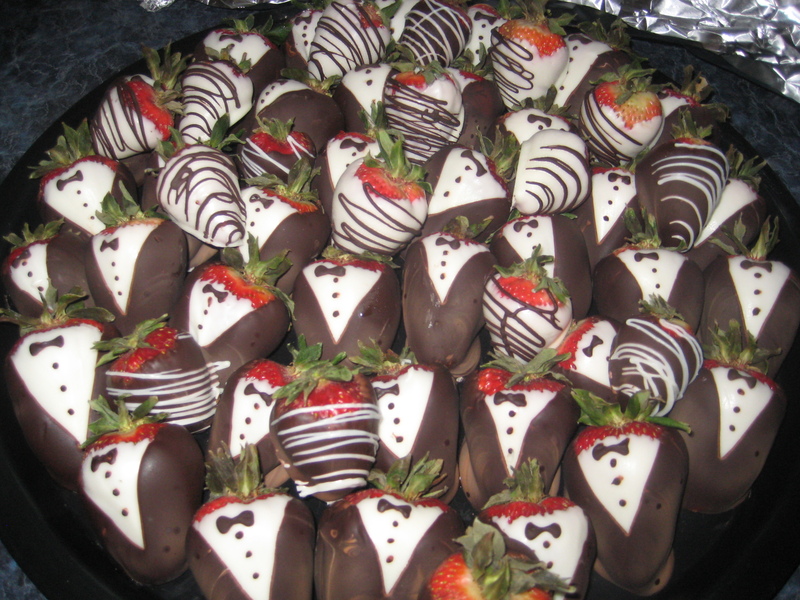 If you don’t have a ton of time, make half of the strawberries in tuxedos and do plain swirls on the other half. Still looks great.